Time to spare? Get fit in the air! If you know Asiya Khasnutdinova, the founder of Valeo Dance Fitness Studio, then you know her passion for travel! While exploring the world is exciting, long hours on the plane can be exhausting, boring and just unhealthy (hello “adult beverages”, snacking and leg swelling!) So on the way back from the world’s biggest health conference in Rimini Italy, FlightFit was born! 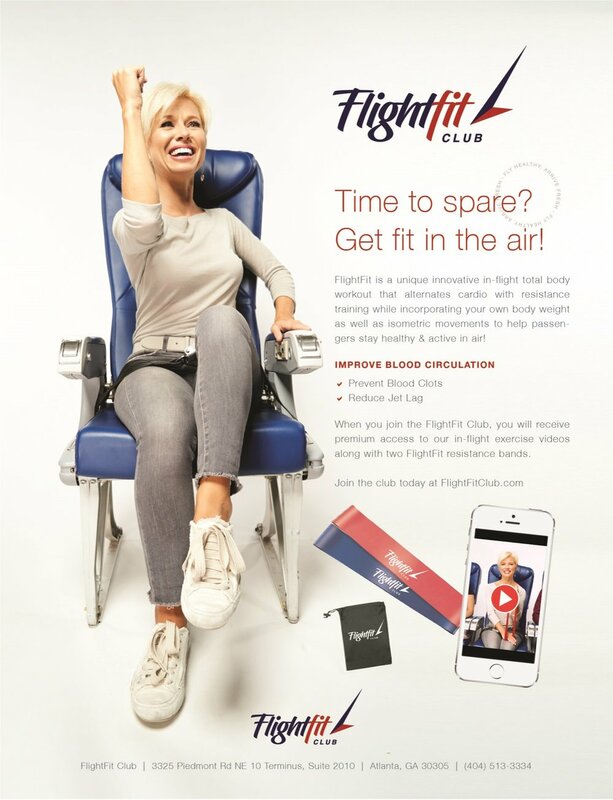 FlightFit is a unique innovative in-flight total body workout that alternates cardio with resistance training while incorporating your own body weight as well as isometric movements to help passengers stay healthy & active in air!